A federal judge blocked one of the strictest abortion laws in the country from going into effect Tuesday. Mississippi Gov. Phil Bryant signed that “Gestational Age Act” in March, banning most abortions after 15 weeks of pregnancy, CNN reported. 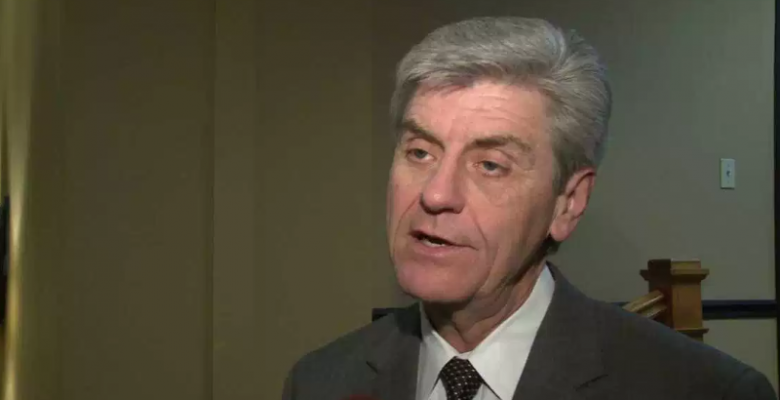 Bryant said the law makes “Mississippi the safest place in America for an unborn child." On Tuesday, federal district court Judge Carlton Reeves ruled that the ban "unequivocally" violates women’s 14th Amendment rights and defies Supreme Court precedent. Reeves noted that viability begins between 23 and 24 weeks, writing, "there is no legitimate state interest strong enough, prior to viability, to justify a ban on abortions." Judge rips into legislators: Reeves called the Mississippi’s state legislature interest in women’s health "pure gaslighting," noting that the state has high infant and maternal mortality rates. "Its leaders are proud to challenge Roe but choose not to lift a finger to address the tragedies lurking on the other side of the delivery room, such as high infant and maternal mortality rates," he wrote. "No, legislation like H.B. 1510 is closer to the old Mississippi -- the Mississippi bent on controlling women and minorities." He called it a “sad irony” that men like him were deciding on women’s rights. "The fact that men, myself included, are determining how women may choose to manage their reproductive health is a sad irony not lost on the court," he wrote. "As a man, who cannot get pregnant or seek an abortion, I can only imagine the anxiety and turmoil a woman might experience when she decides whether to terminate her pregnancy through an abortion. Respecting her autonomy demands that this statute be enjoined." Republicans claim law was meant to protect women: "Beyond the obvious debate of trying to save the lives of innocent babies, there is the often less discussed issues that relate to the health of the mother who receives an abortion," Mississippi State Rep. Dan Eubanks said after the bill was signed. "When did looking out for the life, health and overall well-being of a child or its mother start getting labeled as extreme in this country?"